When you purchase a new Android phone and run Android Market for the first time, it ask you to add your Google account to Android market. You can either create a new account or link your existing account. Yesterday when I did a hard factory reset on my Android phone I was getting an error while linking my account. The error says: Can’t establish a reliable data connection to the server. You can also get this error if you try to setup a new account with your phone. When you try to search for a solution on Google most of the sites will advice you to hard reset your device but here is a simple method it fix it up that worked for me. Follow the steps given below and you will not get this error again. Exit the add account wizard and open Settings. Under settings, go to Accounts and sync and check Background data. That’s all. 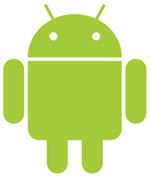 Now open Android Market again and you can easily setup your Google account with your phone. If you continue to have this error again then leave your comments here. I would love to provide you another solution. this solution is not working for me. I have also tried hard reset that to did not work. Please mail me some other solution. i have tried many times but the solution is still not working on my phone. Please mail me another solution. Thank You! by tick on background data does’t work on my phone. please give me another the other optional solution. I don’t know why but my Lg P-500 just won’t let me sync with my google account resulting to me not being to access my market, actually I’ve already done a lot of factory resets but still nothing good is working out for me I don’t know what to do anymore please help me I just bought it please please please…..
by the way my background data was already checked but the solution that you’ve posted isn’t working though.